CALIFORNIA PIZZA KITCHEN DREAMING: THE NEW MENU! I am a huge fan of Italian food, but because of my hyper-acidity, I have to be careful when eating anything tomato based. Which is precisely why I'm always on the look out for Italian dishes that stray away from the usual use of tomatoes, and instead delves into experimenting with oils and creams as their sauce. Case in point was the day that I tried the new dishes California Pizza Kitchen had to offer, which much to my delight, featured a number of items that don't use tomato sauce! DINING HIGH IN THE SKY! AIR ASIA'S SANTAN: FEAST OF FLIGHTS IN-FLIGHT MENU! 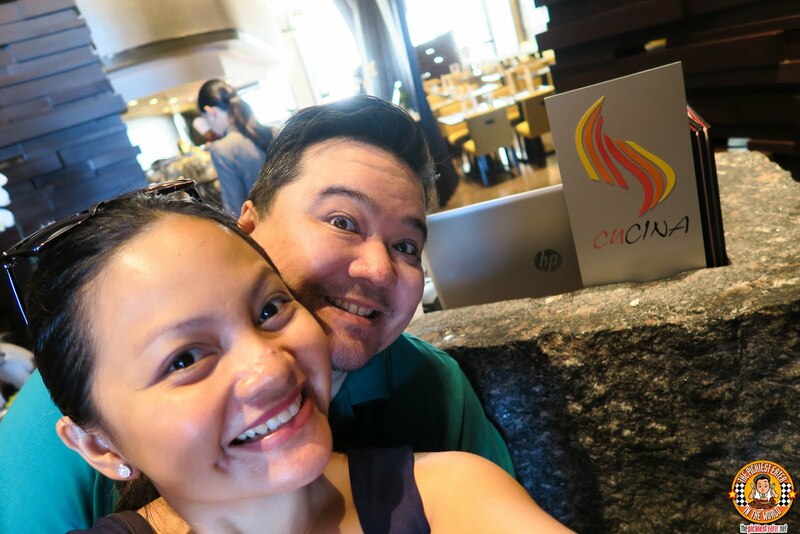 A couple of weeks ago, some blogger friends and I were flown to Hong Kong, courtesy of Air Asia and Vikings Luxury Buffet. Apart from going on an epic Hong Kong Food Tour, we were invited to try the new In-Flight menu of Air Asia, dubbed, "Santan: Flavors of Asean". My friends and I were in for a big surprise, because we discovered that Air Asia's food could stand toe to toe with a restaurant, any day! Here is the first batch of dishes I tried on my Flight to Hong Kong! 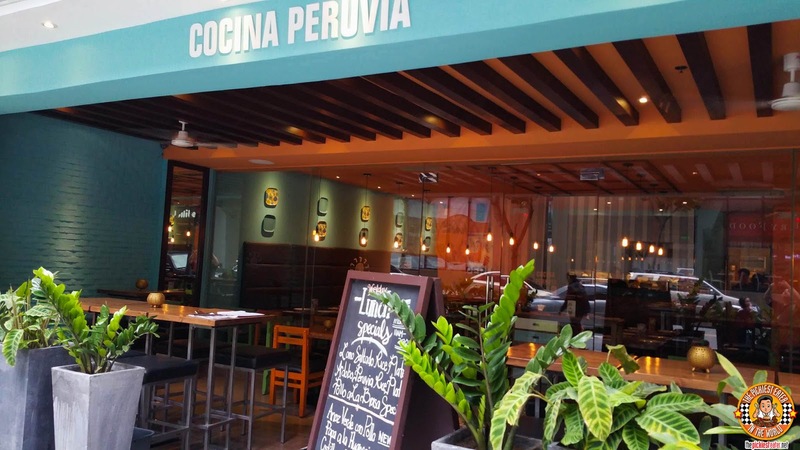 COCINA PERUVIA IN BGC: A FLAVORFUL TRIP TO PERU! When I was in the United States last year, my cousins told me that Peruvian cuisine was all the rage at the moment. I was rather taken aback because I had heard nothing about the food of Peru. Truthfully, I was half expecting it to be burgers made with Llama meat or something. Nonetheless, given how the Philippines usually refuses to be left behind when it comes to food trends, I was confident that someone would sooner or later bring a Peruvian restaurant to the country. 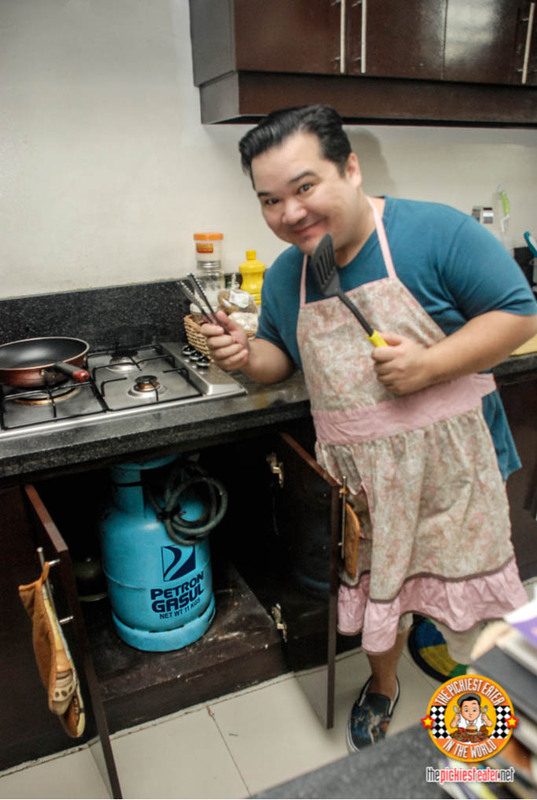 It turns out I was right, the Peruvian food movement in the Philippines has begun, and I was ultra-excited to find out that it was Celebrity Chef Him Uy de Baron who would be at the forefront of one of the first Peruvian restaurants in the country, Cocina Peruvia. As you may or may not know, I, together with a few blogger friends, were flown to Hong Kong courtesy of Air Asia and Vikings Luxury Buffet, for an Epic Hong Kong Food trip! I brought my buddy Jeng of Food In The Bag along with me to help me take some videos for my Video Blog.. Take note these are Video Blogs, and NOT Webisodes.. So the videos we took are a bit more "raw" looking and not the Network TV looking shorts that we had hoped to achieve in the "Battle of Burgers and Brewskies" Episode. On the whole, It was a short but amazing trip, filled with amazing food, good vibes, and great friends! The Alaska Merry Cremas Festival 2015! It’s that most wonderful time of the year! 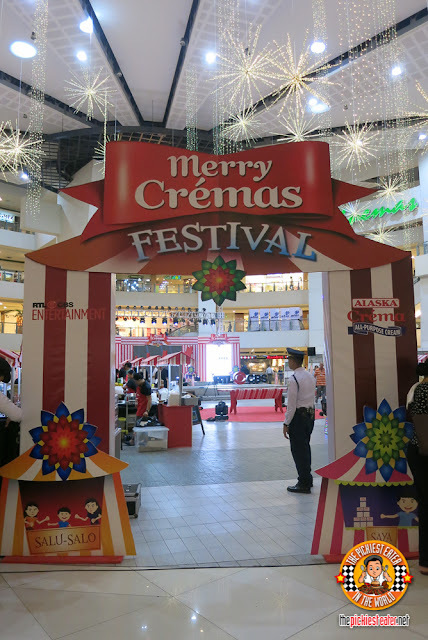 2015 went by so fast.. One minute we’re celebrating the new year, and the next thing we know, brilliant culinary minds are back in their kitchen finding new and exciting ways to use Alaska Crema All-Purpose Cream for the ALASKA MERRY CREMAS FESTIVAL 2015! And as expected, the dishes we got to try were fit for a glorious Christmas feast! In my life, I've had the pleasure of experiencing the world renowned Marco Polo Hospitality twice in my life. The first during a trip to Hong Kong almost 20 years ago (Geeze I'm old), and more recently in 2013, when we visited Marco Polo Davao for the Kadayawan Festival. 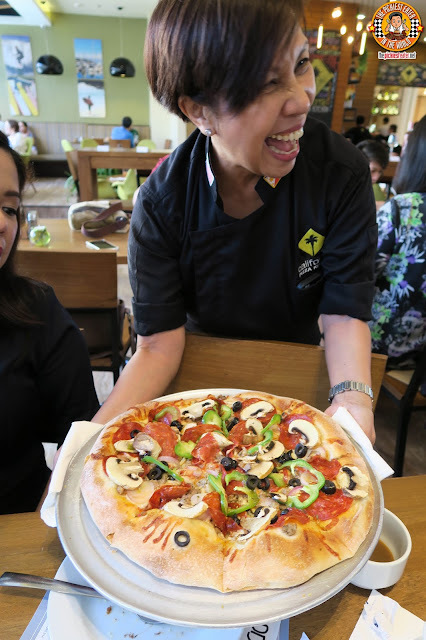 Marco Polo Manila opened their doors in 2013, finding a home in the heart of the bustling Ortigas Center, walking distance from some of the country's most popular malls. And nestled in the 24th floor of the towering hotel, is their flagship 24 hour restaurant, Cucina, which features themed buffets for their guests. Given the amazing experiences I've had in my first two visits, I was curious to find out how the Ortigas branch's food fared in carrying the prestigious Marco Polo name. 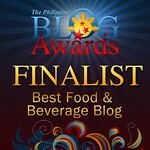 To my delight, I discovered that Cucina's buffet is undoubtedly among the best in the metro today! THIS IS MADNESS! THIS IS MAD FOR LOBSTER AT EDSA SHANGRI-LA'S HEAT!! 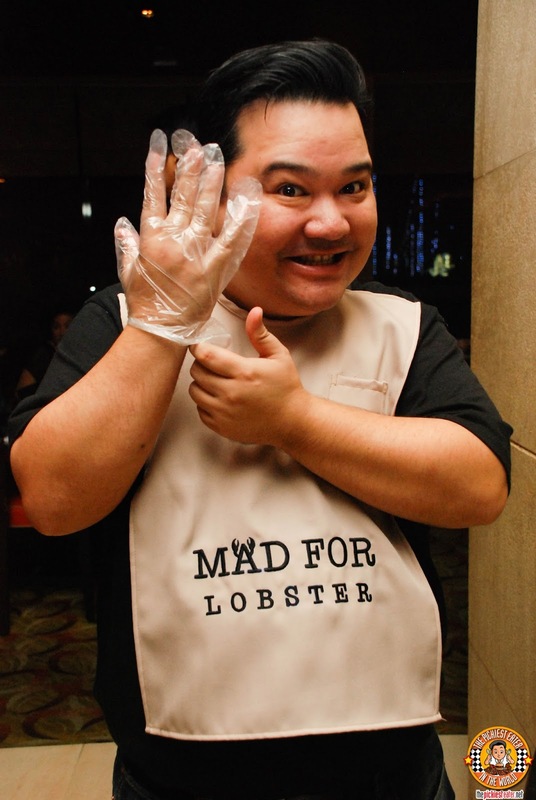 Fresh off the success of the Heat Rises concept that featured 9 dishes from 8 world class chefs, Edsa Shangri-la continues to wow their guests with their latest Mad for Lobster dinner, happening every Friday Night! Already making waves with its much improved interactive buffet, Heat rises to a whole new level every friday, when the buffet is overrun with some of the freshest lobster you'll find anywhere, ready and waiting to be cooked by some of Edsa Shangri-la's finest chefs to your liking! Petron Gasul: Sakto, Sulit, and Safe! The only thing I know is that homemaker’s worst nightmare is gas leak! This is why it is important to get a trusted brand to fuel your cooking creations in the kitchen. And when you hear the name PETRON GASUL, you know you’re in good hands! Because, of course, it’s Petron Gasul! A company that’s been in the industry for more than 50 years!